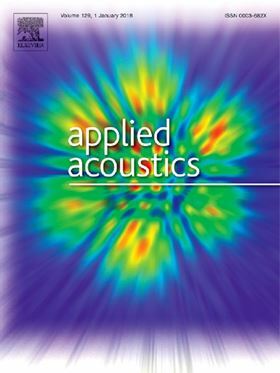 The research article 'Sound quality evaluation and prediction for the emitted noise of axial piston pumps' has been published in Elsevier journal Applied Acoustics (Volume 145, February 2019, Pages 27-40). Sound quality has been an important attribute closely related to products’ competitiveness. A neural network model is proposed to predict the sound quality of an axial piston pump based on the objective and subjective sound quality evaluations. Five psychoacoustic metrics of the objective evaluation and six adjective pairs of semantic evaluation method are utilized. The influences of the speed and outlet pressure on the objective and subjective evaluation results are compared. The correlations between the objective and subjective evaluation results are analyzed. The results show that the A-weighted sound pressure levels (AWSPLs) and loudness of the sound take on increasing with the increase of the speed and outlet pressure. There are strong correlations between the AWSPL and loudness and the perceptions of “unpleasant-pleasant” and “like-dislike”, while the correlations between the fluctuation strength and the perception of “unpleasant-pleasant” and “like-dislike” are moderate, and the correlations between the roughness and sharpness and the perception of “unpleasant-pleasant” and “like-dislike” are weak. In addition, the results show that the sound quality model can predict the sound quality of axial piston pumps with good performance. This study lays the foundation for sound quality improvement of hydraulic displacement pumps. Slipper bearing behavior highly affects pump performance and theoretical models and simulations must be validated experimentally. This project's goal was to predict the breakdown of a critical component in an injection moulding machine – a radial piston pump. Accurate description of the quick and nonlinear change of the discharge flow rate in reciprocating multiphase pumps is difficult.